Oh for Dust’s sake ! He exactly words my sentiments, when he says ‘could I afford a PS3, yes I can, but not for just one game!’. I already own an xbox 360 and quite a few games, but it’s catching dust (!) already. I am not going to buy another console. Furthermore from what I understood so far, Dust 514 will be free on the PSN network, and you can buy stuff like weapons through the RMT store. On the xbox I have played games like that, or spend a few points in the marketplace to do so, and usually you play these games a few times and then just forget about it. Won’t the same happen to Dust ? 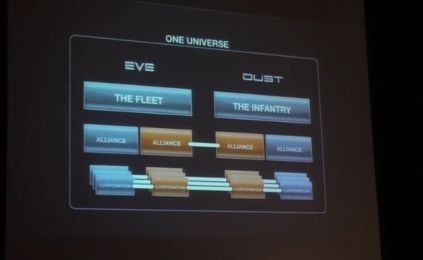 As any eve player with an internet connection already heard, CCP have announced their upcoming FPS/RTS/MMO console game DUST 514. First of all, I don’t own a console, nor am I planning on getting one in the near or distant future. At first I thought, ok that’s nice, it’s in the eve universe, fine by me. But then the german site Golem.de announced that the game will rely heavily on interaction between the ‘dusties’ and the eve pod pilots. And that is where I think this game is bound to fail. 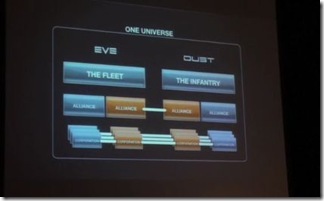 Will there be enough dust players in the first place to have an impact on the eve universe ? Will these players be interested to make a commitment for months to a corp / alliance ? Will the DUST game be fun if they stay in their starter corp ? And what impact will that have ? Will there be mutual chat channels, and if so, will they be different from the rookie help channel ? Will this interaction, the merge of communities really happen ? It seems to me that the game will fall or succeed depending on that concept. To have an outside game have an impact on the Eve universe (and a console game at that) is just a bad idea. 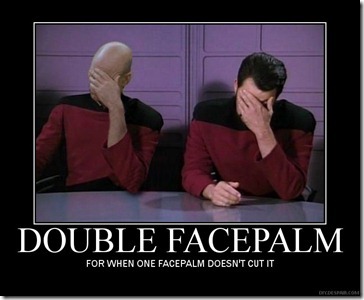 But maybe it will all work out and I will have to write a blog post saying that I am wrong in the future ;).